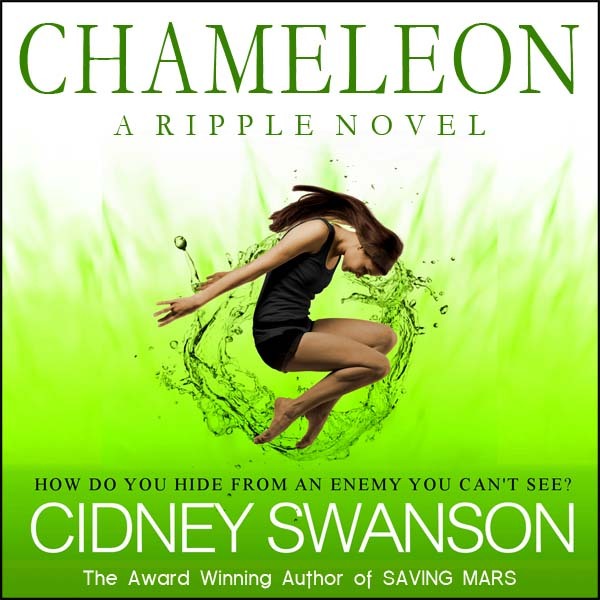 Now that CHAMELEON, Book Two in the Ripple Series is out in audio, I thought I’d give everyone a chance to meet Sarah Mollo-Christensen, my fabulous narrator. Sarah is an actor, dog trainer, and audiobook narrator living in New York City, and I’ve had so much fun working with her on my Ripple series audiobooks. Today you’ll get a sneak peek behind the curtain to see what goes on in the minds of an author and a narrator when they work together on an audiobook. SARAH: How do you choose a narrator–what are the main things you look for? SARAH: How do you handle the inevitable differences between the voices you heard in your head when you were writing and the narrator’s voice and character choices? CIDNEY: Well, I start off by assuming that a narrator won’t reproduce exactly what was in my brain, although it would be freaky and cool if they could! To use an analogy from the music industry, I’m listening for the equivalent of an awesome, fresh cover of a song I already love. What gives me chills (the good kind!) are those moments where I recognize the narrator has created a completely believable new version of the voices in my head. SARAH: Does listening to your own audiobooks ever give you new insights about your books? CIDNEY: Oh, absolutely. Something that has come up again and again is that when I’m hearing real-time narration of a character’s thoughts, I suddenly realize I was super mean to my poor character! As I’m writing, there will be this path I know my character has to walk, and I know it’s bad-and-getting-worse, but the emotional impact is much greater when I hear the story spoken aloud. Of course I have to “forget” that I know this when I go back to writing, because if nothing bad ever happens to your characters, there’s probably not much story happening! SARAH: Has listening to audiobooks changed anything about the way you write? CIDNEY: It’s made me much more aware of dialogue tags—the “he said/she replied/I said” parts of sentences. There is a certain school of thought in writing circles that says dialogue tags clutter up your writing and should be avoided in favor of other (presumably more clever) ways of indicating who is speaking to whom. Listening to audiobooks has taught me that clarity is worth infinitely more than cleverness. 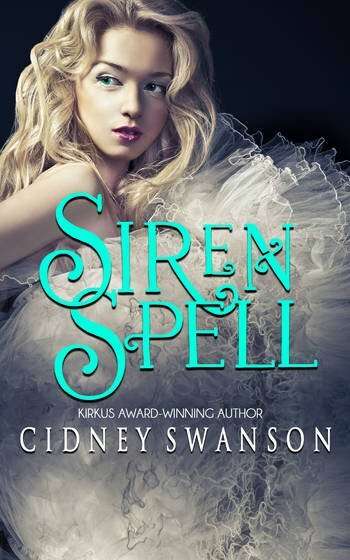 CIDNEY: When writing, what potential narration-related pitfalls should authors be aware of? SARAH: A few things come to mind! There are certainly some words that are harder to pronounce in a sentence (“grasped” and “clasped” are two–try saying “he grasped the clasp of her necklace as her fists twisted in his hair”). Long, unpunctuated stretches within sentences are also a challenge–it’s sometimes impossible to make it through on one breath, which means breaths have to be edited out later. Narrators love short sentences! SARAH: Ask, ask, ask! As narrators, the audiobook is partly our baby, but the story is the author’s, and so it’s never our place to make creative choices, such as who’s saying what. CIDNEY: How do you solve problems related to flashbacks, dream sequences, and other such passages that would be indicated by italics in the printed book? SARAH: Some people like to put some kind of digital effect on these sections, but since that can sound kind of fake, I think the best technique is just getting closer to the microphone for these passages. It seems simplistic, but it really works–it makes those sections sound more intimate, and different from the rest of the text. CIDNEY: What is the most satisfying part of recording narration? SARAH: The most satisfying part for me is definitely getting lost in the story–when you stop noticing your noisy breaths and weird mouth clicks, and just get carried along by what’s happening on the page. Every narrator was once just a voracious reader, and the pleasure of getting lost in a good book never gets old. 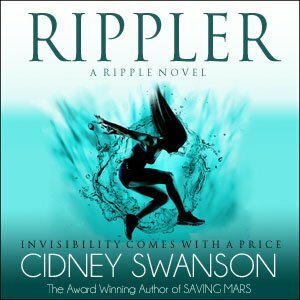 To listen to a sample of Sarah Mollo-Christensen’s narration of Rippler, click here. And welcome to the top of my reading list! Am even going to add the audiobooks to my library for those lovely long commutes to and from work ! I’m so glad you’re enjoying the series! I’ll pass the word on to Amazon next chance I get! 😉 #pro-tip: if you already own Rippler, I’m pretty sure you can get the whispersync audio for only $1.99. I lurve Sarah’s distinct voices! Was Christmas shopping for the kiddos on Amazon, and added a few for myself..lol..
You could not have picked a better narrator!! She’s ah-mazing! !